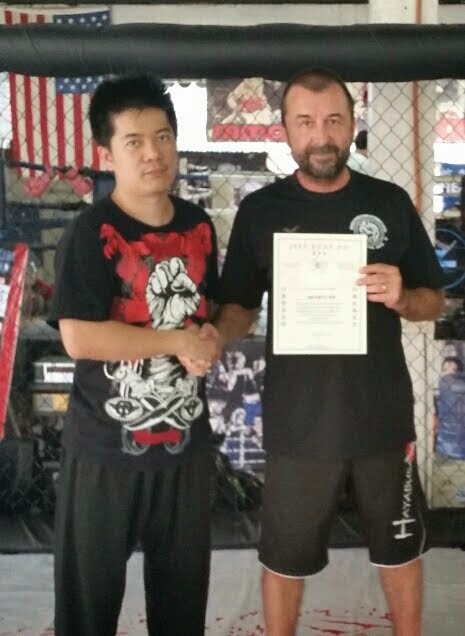 About the Author: Mark Stewart founded Boxer Rebellion International in Los Angeles’ Chinatown in 1992 and is currently based in Thailand, where he teaches Jeet Kune Do ,Muay Thai, Savate and Filipino Martial Arts. 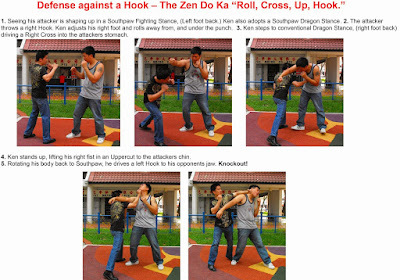 This article was originally published in the December 2002 issue of Inside Kung Fu. There are as many definitions of JKD as there are people calling themselves practitioners. Here’s one example that connects with its simplicity. 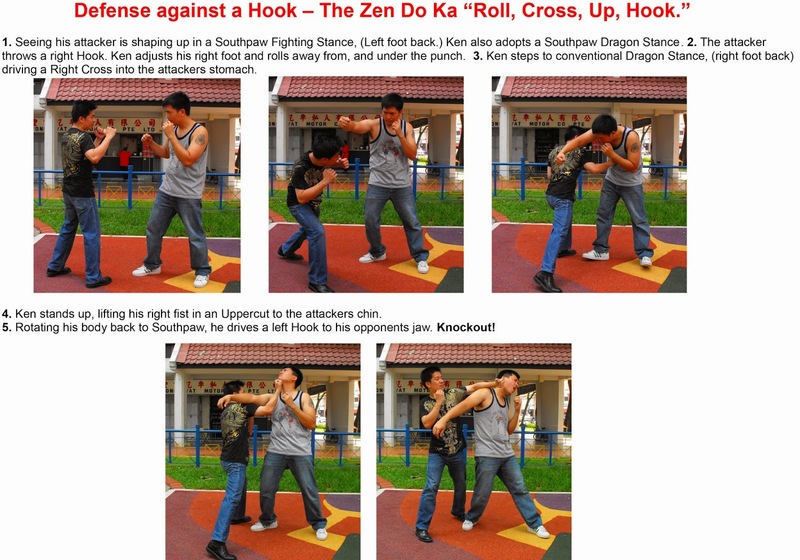 This article is not about the history of Jeet Kune Do or its perceived stylistic components and influences. 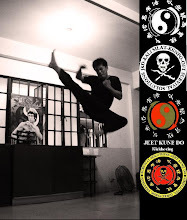 This article is about “taking a glimpse” at Jeet Kune Do as a pragmatic, physical science of space/time mastery through its strategy of optimal function and supporting tactics. Like Zen, Jeet Kune Do is best experience and not read about. So I will do my best to stick to the tenants of simplicty and directness in my description of what must be “experienced” to be truly understood. Intercepting primarily refers to, but is not limited to, stopping or striking the opponent “at the gate” before or during the aggression. 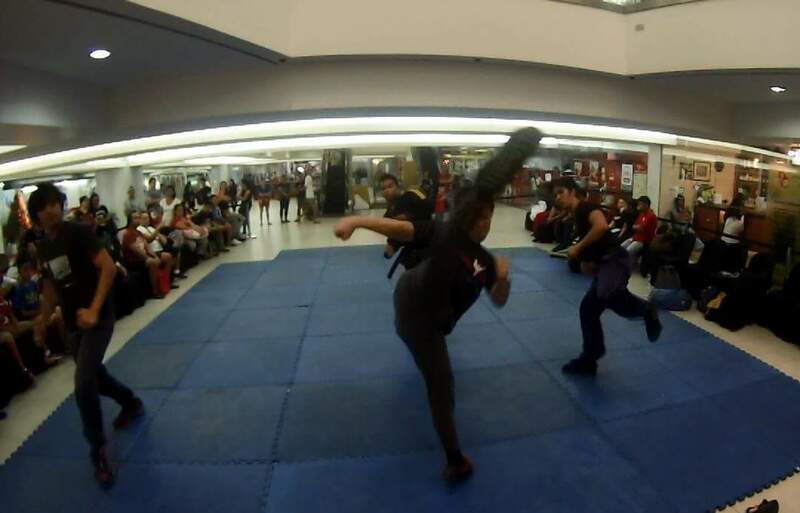 Although the idea of interception can be found in many martial arts, it is usually not emphasized as much as the traditional block and counter method. To understand the strategy of JKD, you must understand the philosophy behind the method. The philosophy of JKD in training and fighting strategy is one of “daily decrease” or discarding the non-essential elements. In JKD, these non-essential elements are considered to be decoration and unwanted baggage. Must one imitate and organize chaos? Or must one simplify and cut through chaos with the clarity of a bolt of lightening. The former represents “the classical mess” and the latter represents JKD. JKD prepares the practitioner for “any possibility” but not “every possibility.” In other words, JKD is not concerned with the unlimited possible scenarios that might happen and exactly how to deal with them. JKD is concerned with having a long-term, adaptable strategy in training and pure spontaneity in actual usage. JKD is unrehearsed, streamlined and adaptable. Adaptability in JKD comes from the idea of “being like water.” Like water, JKD is the art of fitting in. Like water, whose structure is H2O, the JKD structure is the on-guard stance. Thus, JKD chooses the path of least resistance. “like a wave,” water crashes (water fills the void) and water recedes (water creates the void). 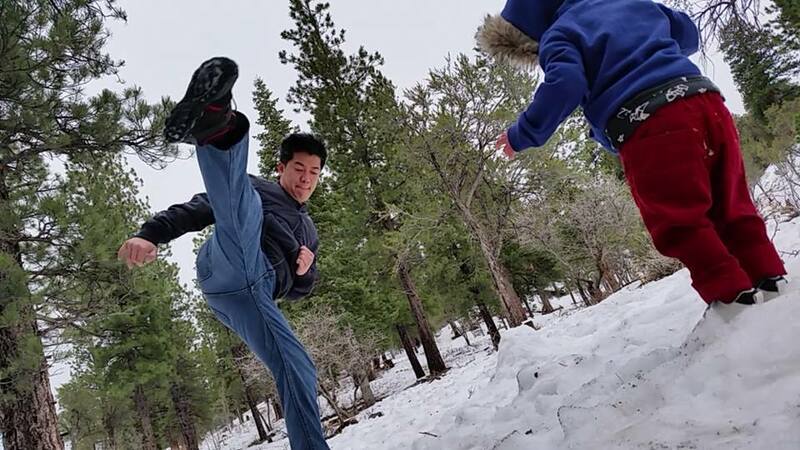 JKD transcends the notion of specific style or “way,” which in turn encompasses all styles or “no way.” JKD is the realization that “true refinement seeks simplicity” and that simplicity is the pinnacle of refinement. The way to transcend the notion of specific style or method is to simplify human combative expression into its single element. This root element is motion. One must move to attack. Now, one can move in many ways and from many directions, but one must move. “Proper footwork is only accomplished through a balanced or central, movable base.” This base is th eon-guard stance, which is the foundation that supports all susequent factors. how do you put yourself in a position of advantage to create the space/time necessary to intercept the opponent’s motion? The answer first lies in your depth perception or ability to judge distance or measure, and secondly, the ability to move your mass and create/control that distance at will. To attain the ability to orchestrate accurate, fightin measure, JKD’s strategy and training emphasizes footwork or mobility. According to the founder, “The highest level of offensive footwork is the ability to punch or kick while in motion,” preferably forward motion. 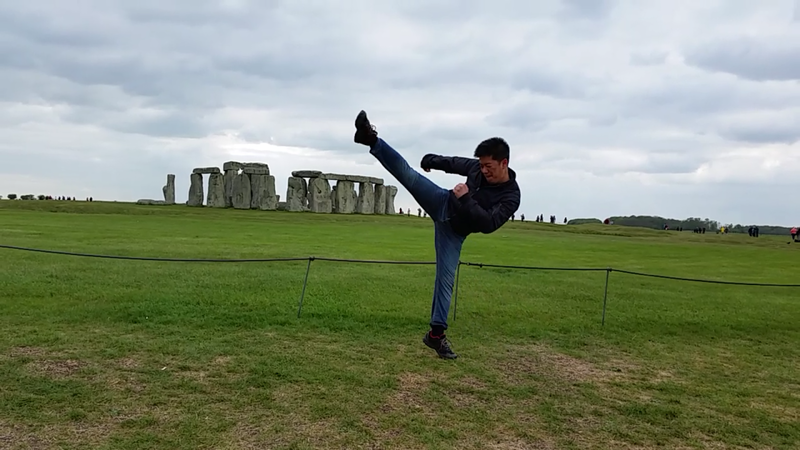 For you to understand JKD, you must accept that the optimal function of JKD is to hit the opponent, with the least chance of being hit back and to finish the fight quickly. You must also accept that the on-guard stance and footwork are the foundation and key to all other factors in JKD. JKD is actualized through the expression of its strategy of optimal function of “non engagement” and its inherent tactical back-up system of controlled “engagement.” JKD is the “art of fighting, without fighting” or the art of fighting with the least amount of struggle. This strategy of embracing simplicity is the pinnacle of refinement and involves a life-time commitment to excellence on the continuous path of mastery.